The Pegasus Engine and Faith Point runes have been opened up to all Regulars and above. Please ask a staff member to help you create your Faith island. There is a tutorial station on the Faith Island runes on the "second floor", level 5, of the Spawn Center. The Faith rune respects the Faith residence flag. Users demanded it and it was updates. Mob Arena is back up and running under the Spawn center. Be aware you must empty your inventory first to join a Mob Arena Game. Well today 8-24-12 is the last day to vote on the name for the new world. After that is done I wills start the poll for naming the new city, so get your votes in. Silk Spawners is back online after glguy reprogrammed it not to give EXP when spawner is broken with a silk touch pick. Go have fun with it. 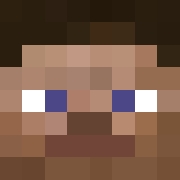 I'm excited to announce a new plug-in for those of you that consider yourselves advanced Minecraft explorers. This plug-in tracks which users have successfully traveled from the start to end waypoints without aid of teleportation. Players who successfully complete an route will find that their names are displayed automatically in rotation on the bottom of the signs associated with that route. I imagine applications of this could include: routes down the main roads to the edge of the map, obstacle courses, clue-driven hidden sites, difficult to reach sky-lands, etc. Start - Activate this sign to start your exploration. You can only be on one route at a time. View - Activate this sign to see the whole list of players who have completed this route. Finish - Activate this sign to complete your exploration. The name of the route must match the one you started last. /explorers - This command shows your current route as well as everyone else who is involved in an exploration. Players interested in creating a new exploration route are welcome to ask an administrator to create the necessary command signs. The mezzanine level of the hub portal room is currently reserved for route starting signs, but other starting points are allowed. Our first route is a trip out to Torin Falls. The trip is an easy stroll down Torinemerson's North Road to a scenic waterfall view. Please forward all feature requests and bug reports and other feedback to glguy! New Command if you get stuck. If the server gets a little laggy for some reason, when using teleports you can get stuck in the ground, or even a wall. This command "//unstuck" will get you out of the ground before you die, if you type it fast enough. Before and after shots below.